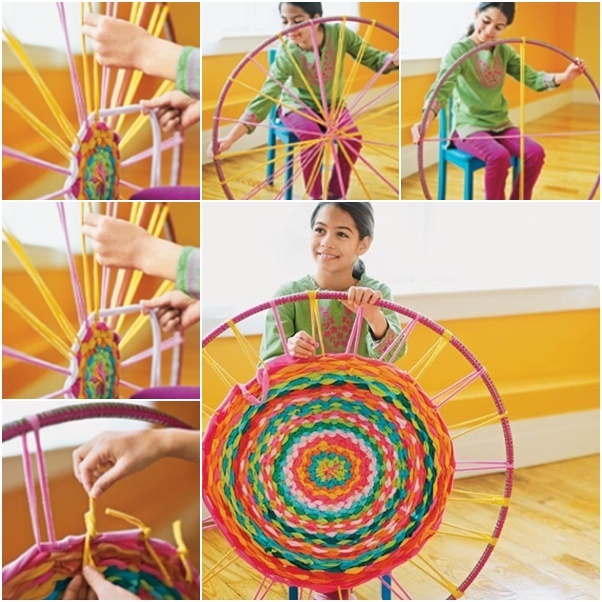 Here is the perfect craft project to recycle old T-shirts – make a woven rug using hula hoop as a loom! The oversize looms and easy-to-use loops of T-shirt fabric make these projects particularly appealing to beginning weavers. It would be super fun to learn the basic hoop weaving technique by crafting a colorful accent rug to brighten up a room. Wanna try this fun way to make rugs now, check the full tutorial via this link.